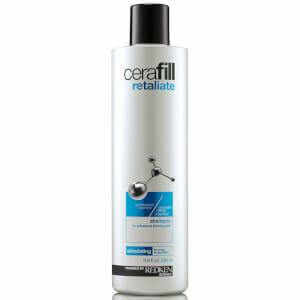 Perfect for thinning hair, Redken Cerafill Retaliate Shampoo (290ml) and Conditioner (245ml) will help you to clean and condition your hair, whilst adding fullness to create thicker looking tresses. Redken Cerafill Retaliate Shampoo boasts a stimulating menthol formula that will gently cleanse your hair to remove impurities and thicken hair. Boasting a ginger mint fragrance, the shampoo features Cerafill System Technology that strengthens fibre to prevent breakage and nourishes to promote healthy scalp environment. Hair is left looking fuller and smelling divine. 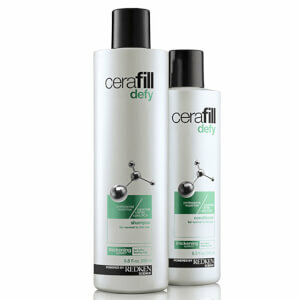 Thicken thinning hair with Redken Cerafill Retaliate Conditioner. The conditioner contains a menthol formula exudes an invigorating ginger mint fragrance, and adds a cooling and tingling sensation to your scalp. 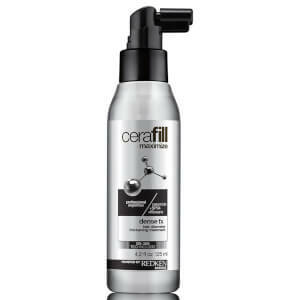 Infusing body, volume and shine to your hair, Cerafill System technology strengthens hair fibre to prevent breakage and nourishes the scalp to leave you with hair that looks fuller and healthier.